Many new restaurateurs believe that the key to a successful restaurant is great food. That is important, but it’s only one ingredient. While great food is a leading contributor to success, learning how to improve restaurant ROI is at the top of the list. With nearly 60 percent of new restaurants failing within the first year and an alarming 80 percent shuttering before the fifth year, it’s imperative you learn how to improve restaurant ROI with a few key tactics. Implementing just one or two of these tactics, especially if your competition has not, could push you to the top of your customers’ list of favorite restaurants. Plus, the beauty of these tactics is that all of them allow you to easily track the effectiveness through data, which shows you exactly the impact each has on your restaurant ROI. Marketing spend/number of new customers = CPA, which tells you how much it costs to acquire a new customer. Using these two key measurements and the following tactics, starting with the back-of-house, could dramatically help you improve restaurant ROI and keep your customers coming back for more. Even though your customers don’t see it, back-of-house technology is vitally important to their experience at your restaurant. Improved efficiency is just one byproduct of installing back-of-house technology, and it can also impact everything from employee safety to food quality. KBP Foods, which operates more than 360 KFC, Taco Bell and Long John Silver’s restaurants in 14 states, utilizes a comprehensive oil management system from Restaurant Technologies and has seen dramatic results. 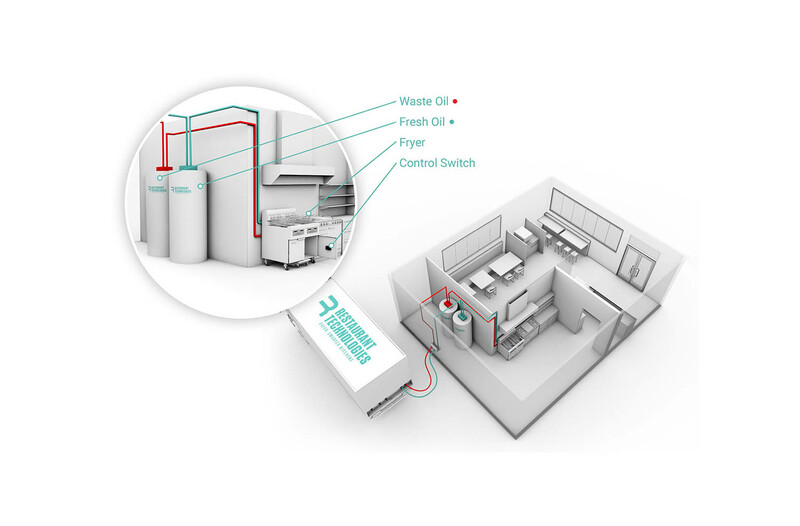 This type of system automates the delivery, storage, handling and disposal of fryer oil for the restaurants, which contributes to employee safety and better food quality. The oil management system handles the entire oil process for your restaurant so your employees never have to worry about transporting hot oil. And management doesn’t have to worry about employees not following proper oil management procedures. The Restaurant Technologies system features the Total Oil Management (TOM) portal, a web-based communication tool that tracks usage and filtration data, which helps managers understand and control oil quality and cost. These daily insights also alert managers when restaurants are not properly managing the cooking oil. KBP Foods partnered with Restaurant Technologies nearly 10 years ago and since then has increased the life of its shortening and also removed contaminants that can affect the color, taste, and smell of the food. The company has also seen a direct correlation between their usage of the oil management system and food quality and profitability. Oil management systems are not just for fast-food restaurants. Bar Louie, a neighborhood bar and eatery that operates 70 locations, also partnered with Restaurant Technologies to manage its oil after a franchise owner noticed employees deviating from their standard oil operating procedures, which can sacrifice the quality of the oil and ultimately food quality. As a result of installing Restaurant Technologies’ oil management system, Bar Louie now uses approximately 100 pounds of oil less per week. The chain has also seen a 50 percent decrease in Workers’ Compensation claims now that kitchen employees no longer need to handle hot oil. Plus, food quality is up and labor costs are down. In a restaurant technology survey conducted by Toast, 1,115 diners all across the U.S. were surveyed about their opinions on technology in restaurants. The results showed that 79 percent agree that restaurant technology improves their guest experience. Today, front-of-house restaurant technology comes in many forms and speeds up the process of ordering and bill paying, which resonates with consumers. 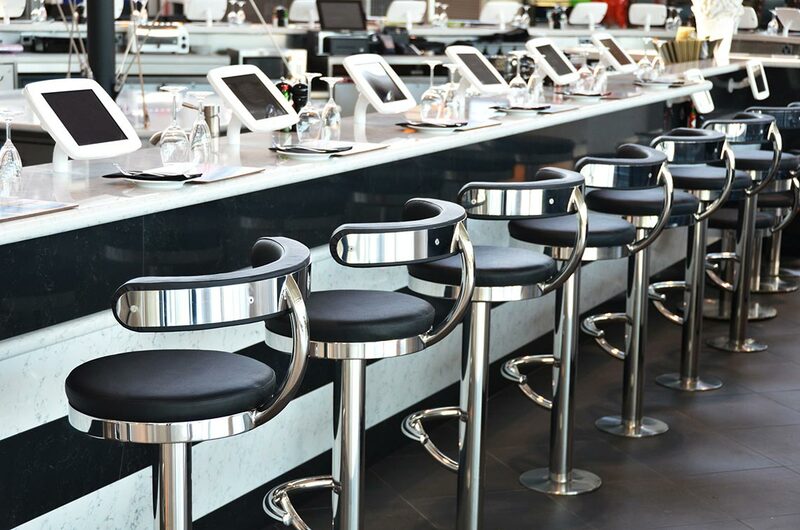 The ease of use found in iPad kiosks and tabletop tablets appeals to smartphone users and can also reduce labor costs and dining times in the long run. As labor costs continue to rise, numerous restaurants are researching ways to reduce employee headcount using this type of technology. Near the end of 2015, Panera Bread rolled out Panera 2.0, which entailed outfitting 400 locations with iPad order kiosks to replace cashiers. Panera Bread found numerous benefits to using kiosk technology. The digital interface allowed them to easily communicate ingredients and nutritional value of all its menu items, which led to more personalized orders. The kiosks also resulted in shorter lines, improved accuracy of orders and reduced employee headcount. Other restaurants, such as Olive Garden, are testing tabletop tablets to improve the customer experience. The restaurant chain added tabletop ordering systems at select locations a few years ago to gauge the effect and found that those locations with tabletop tablets saw faster dining times and higher tip percentages. Customers are happier with the faster, more convenient service and restaurants can serve more diners per night. A recent study conducted by The National Restaurant Association titled, Mapping the Technology Landscape, found that 83 percent of adults use smartphones or tablets to look up restaurant locations, directions, and hours. An additional 75 percent look up menus, 55 percent read reviews, 51 percent order takeout or delivery directly from the restaurant’s website, and 50 percent use rewards or special deals. These overwhelming statistics prove that not only having an online presence for your restaurant is key, but it’s also critical that your website is mobile-friendly. As technology continues to play an important role in nearly every industry, and as consumer usage of smartphones continues to rise, the importance of creating an easy-to-use online experience for your customers will also increase. When consumers encounter a restaurant’s website that is not mobile-friendly, the majority will leave the site and search for one that is responsive to their needs. If your website is not responsive, meaning the site doesn’t function the same on a mobile phone as it does on a computer screen, you’ll lose customers. If your customers have difficulty viewing your online menu, finding the address or contact information for your restaurant, or if they have issues with your online ordering system, frustrations rise and most will give up searching. A responsive website is a mobile-friendly website that adapts to all screen sizes including smartphones, tablets, laptops and computer screens. And not only does a responsive site keep your customers happy, but it also keeps Google happy, which is critical. In 2015, Google Search rolled out an update that increased the effect of its mobile-friendly ranking signal with a goal of helping users find websites that are relevant and mobile-friendly. As a result, a website that is not mobile-friendly will not rank as high as one that is. Ordering food from a restaurant with a smartphone is quickly becoming a preferred method among younger generations. And most mobile technologies can track certain characteristics of its users, including customer location, providing restaurants with valuable data. Studies show that mobile and online ordering capabilities can improve sales by encouraging customers to spend more and visit more often due to convenience. A Deloitte survey found that 40 percent of frequent restaurant visitors prefer to order online and will spend 26 percent more per order at quick service restaurants (QSRs) and 13 percent more in casual and fast casual establishments. The number of visits tends to increase as well because the technology makes it easy to repeat previous orders. The survey also revealed the options that restaurant customers value most: online ordering, payment flexibility, and customization. These options can have a direct impact on dining frequency, check size, customer conversion and loyalty. The very first restaurants to use mobile ordering technology were the ones that rely heavily on delivery. Domino’s Pizza, the recognized world leader in pizza delivery, uses mobile ordering technology via an app for smartphones. The app has been so successful for driving sales that in 2012, Domino’s updated the app to offer a language alternative for Hispanic consumers. Ordering pizza from Domino’s is now available for the Apple iPhone®, Android phones, and Amazon's Kindle Fire®, reaching more than 80 percent of the mobile technology audience. When Starbucks launched its mobile order and pay platform through its app, it saw a 5 percent increase in sales and now a quarter of all payments are made through the smartphone app. Recent updates to the app now allow customers to create a favorites list and repeat a previous order with just one click, and also select a favorite store to pick up an order. Successful marketers continually measure and adjust their marketing to understand their restaurant ROI. Marketing can quickly eat into your overall budget so it’s imperative to continually measure your efforts and adjust as needed. As marketing tactics and technology continue to evolve at a lightning-fast pace, it’s often difficult to not only stay on top of the latest trends but to also know which will be most effective for your particular style of restaurant. Most restauranteurs will try many of the latest marketing tactics to attract new customers. The successful ones will use metrics to track their efforts, keeping the tactics that prove to be successful and eliminating the ones that are not. Using the equations mentioned above for ROI and CPA, you can easily determine which ones you should keep and which you can do without. Once you have your metrics in place, it’s important to understand this data in comparison to your competitors. 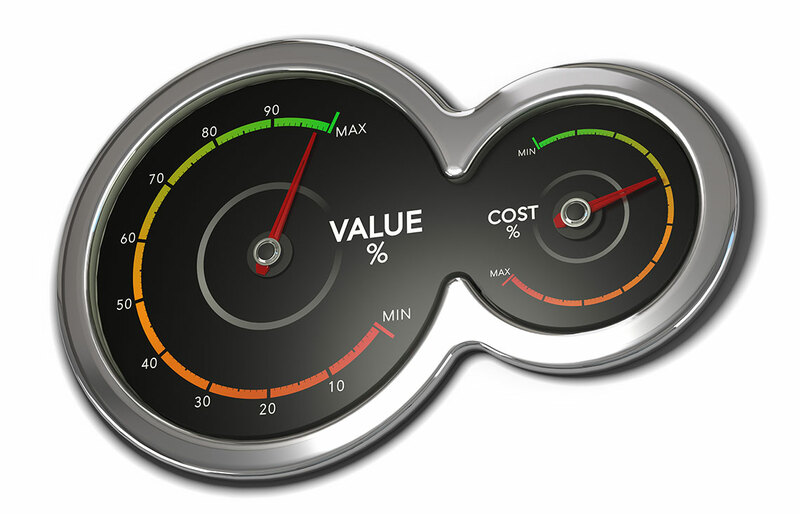 Develop a standard set of metrics to use as a benchmark to gauge your success or failure. This will give you a competitive advantage with your marketing and allow you to quickly determine how effective your strategy really is in the marketplace. By doing this, you’ll begin viewing your marketing spend as an investment in your business rather than an expense. To learn more about the back-of-house technology discussed in this article, please contact Restaurant Technologies at 888-796-4997 or send an email to salesinfo@rti-inc.com.